The 1951 Bob Hope comedy, “The Lemon Drop Kid,” is based on a Damon Runyon story, the second film of Hope’s to do so. Just two years earlier, Hope made the highly successful, “Sorrowful Jones,” co-starring Lucille Ball. The film was released in time for the holidays, only as you will see if you check out the newspaper ad below, the holiday in question was Easter and not Christmas. The film also introduced the now standard Christmas classic, “Silver Bells” written by Jay Livingston and Ray Evans. In the film the song is sung by Hope and co-star Marilyn Maxwell, but more on that later. 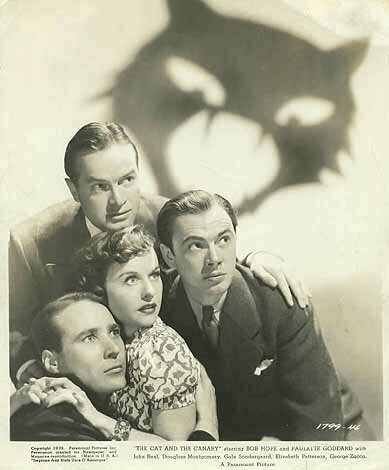 This is part of the Classic Movie Blog Association’s Movies of 1939 Blogathon. “The Cat and the Canary” has a long history dating back to a 1922 play written by John Willard. In 1927, Universal made a silent version adapting the play to the screen. Directed by German Expressionist filmmaker Paul Leni and starring Laura LaPlante the film was a moody, imaginative, expressionistic work. Unlike most filmed plays of the time, Leni made this a visual delight making it one of the most stylistic films of the silent era. 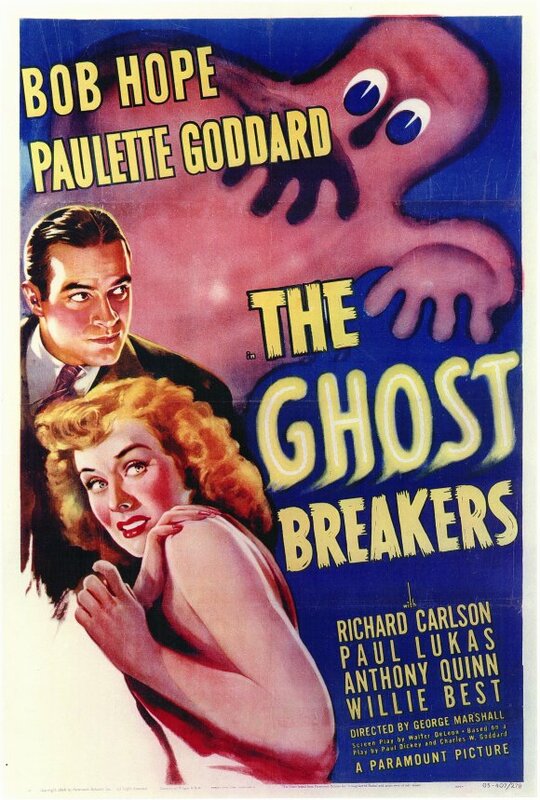 In 1930, Universal made an early sound version retitling it “The Cat Creeps.” Unfortunately, this film which predates Universal’s classic horrors is presumed lost with only clips remaining, despite claims, and a number of votes on IMDB, to have seen the film. They most likely have it confused with a 1946 film with the same title. 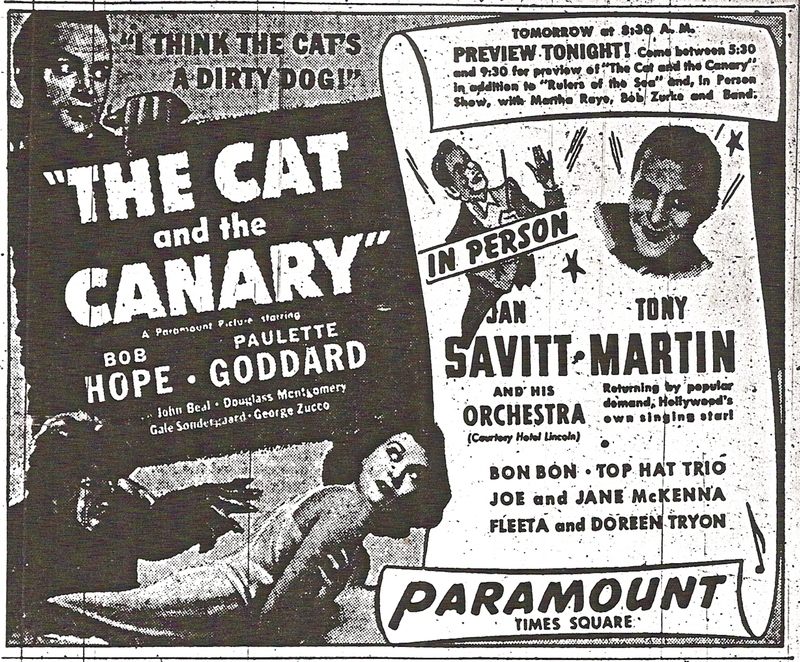 ….Bob Hope that is in this double feature review of two of his best. 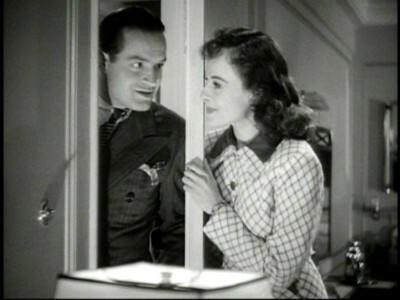 These two films, relatively early in Bob Hope’s film career and made only a year apart are similar in storyline yet show a growth in Hope’s screen persona that would cement his career for the next forty or so years. 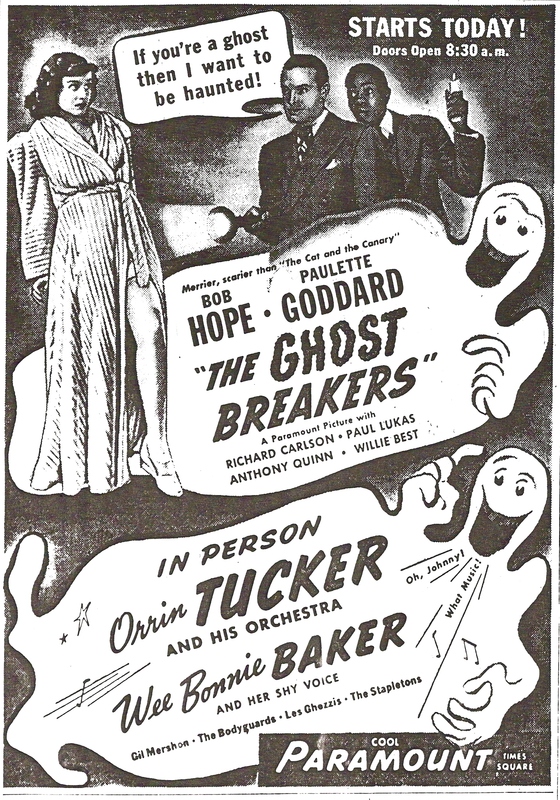 In 1939, Paramount purchased the rights from Universal and resurrected the story again for Bob Hope turning it into an old dark house thriller with laughs. This film which is finally seeing the light of day on DVD is one of Hope’s best. The script was rewritten tailored to Hope’s talent adding his now well known style for wise cracks yet retains the original thrills of the original. No matter what version you look at, the plot is the same with only minor changes. Family members and friends are summoned to an old dark house in the Louisiana Bayou, owned by the deceased Cyrus Norman for the reading of his will (specified to be read at midnight ten years after his death). Of course, there is no way off the island until the next morning. Also on board is a housekeeper (Gale Sondergaard) who would give Mrs. Danvers a fright along with secret passageways, hidden treasures, greedy relatives’ lights that mysteriously go on and off, a killer on the loose and plenty of eerie atmospheres. The Louisiana Bayou setting also adds to the sinister surroundings. Paulette Goddard as Joyce Norman is both the fortunate and unfortunate inheritor of the estate. Hope is Wally Campbell, a ham actor and childhood friend of Joyce who helps her solve the strange goings on and saves her life. George Zucco plays Crosby the lawyer who does not make it through the night and Gale Sondergaard is the creepy housekeeper that assist in keeping the atmosphere sinister and also adding some comic fodder to the proceedings. John Beal, Elizabeth Patterson and Douglass Montgomery fill out a fine cast. 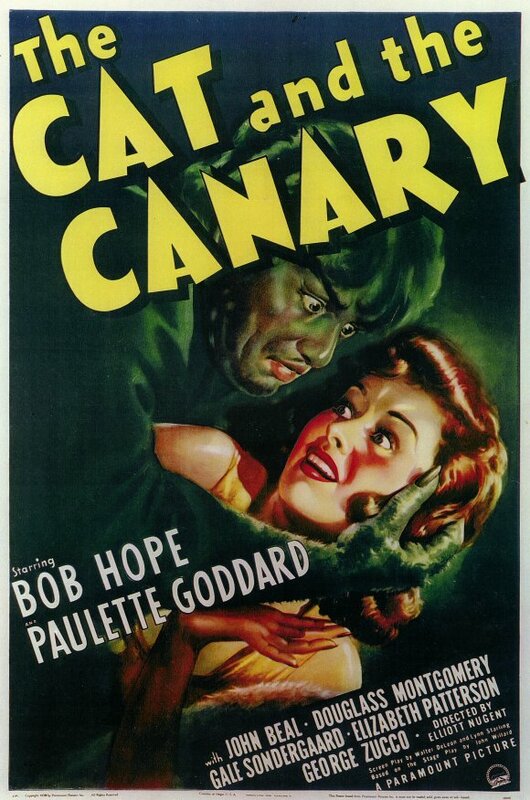 As in “The Cat and the Canary”, the film is filled with hands that reach out from behind secret panels, trap doors, sinister individuals, ghosts and a murder. The film provides a nice mixture of “old house” style horror, mystery and comedy, Hope style. Black actor Willie Best is Hope’s servant and side kick and unfortunately, like in many films from this period the racial stereotyping is embarrassing and politically incorrect, however this takes nothing ways from Willie’s performance. John Beal, Elizabeth Patterson and Douglass Montgomery fill out a fine cast. One other reason that these two films work so well is the distinctively eerie camerawork by Charles Lang whose excellent cinematography graced both of these films. Lang’s long career included such great movies as “The Big Heat, “The Uninvited’, “Ace in the Hole” and “Wait Until Dark” among many others. After working with Goddard for the first time, Hope got to meet his idol, and Goddard’s husband, Charlie Chaplin. During the filming of “The Cat and the Canary”, Chaplin would watch the rushes every night and said to Hope one day that “you are one of the best timers I’ve ever seen.” Hope was obviously enthralled.